Sign Up for free to save time shopping Evolab's wholesale products on LeafLink. There are many different ways to extract cannabis oil out there. Most involve toxic solvents and harmful additives, often justified by research that is questionable. This is why Evolab created the world’s first suite of cannabis specific pharmaceutical-grade extraction technologies. We produce exceptionally pure oils, without the use of any cutting agents. Delta 8 Alchemy: Pure Science - Cannabis at its finest. Full spectrum terpenes. Amplify combines the energizing effects of Green Tea with the zing of ginseng and Evolab’s purely potent CO2 oil. Sativa terpenes and a 1/1 ratio of CBD and THC stimulate, invigorate and excite at any time of day. 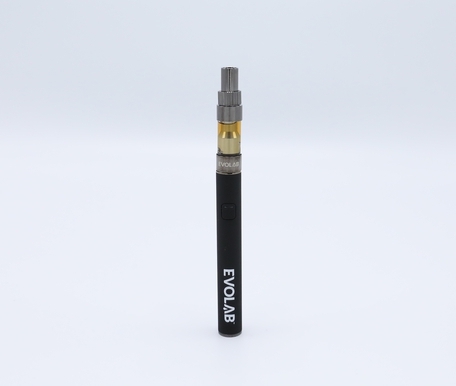 About CBX Vapes: CBx Vapes incorporate the cleanest Evolab CO2 extracted cannabinoids and terpenes with carefully selected blends of botanicals. From Green Tea extract for energy to Passion Flower for meditation and release, each formula is designed to complement the effects of cannabis, elevating the experience and benefits. 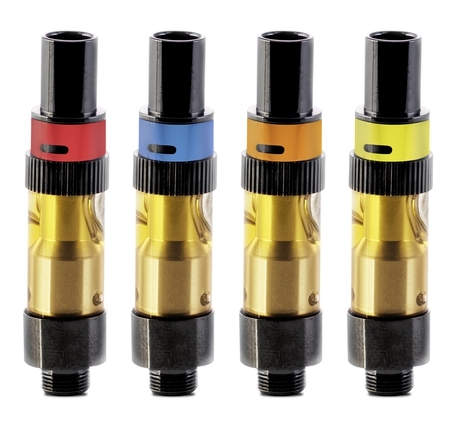 Like all Evolab products, CBx Vapes never contain residual solvents or chemical additives. If you’ve ever been hungry or fought off a cold, that was your endocannabinoid system working. We want to help it work better. 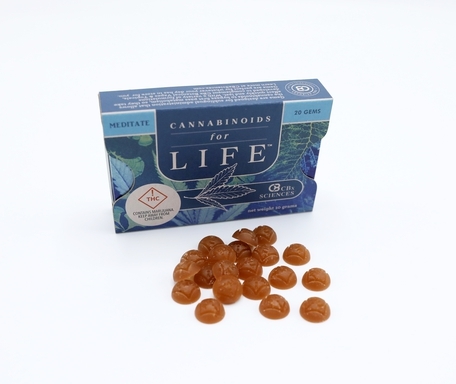 We took the energizing effects of B12 and Green Tea, mixed in Evolab’s purely potent cannabinoids, and packed it all into a small lozenge you can take anywhere. It’s just what you need to run at your peak efficiency. Without the running part. Learn more at CBxSciences.com or follow @CBxSciences on Facebook, Twitter, Instagram & Weedmaps. The trouble with most body oils is they make you smell like body oil. Or even worse, like baby oil. And you are nobody’s baby. That’s why CBx Sciences kept our Daily Body Oil fragrance free. It doesn’t have any additives so it’s as simple as it is effective. There’s nothing but pure CBD oil, calming terpenes and plant oil to repair, refresh and rehydrate your skin. Used every day, it practically radiates vitality. And that’s news worth passing on. Like all CBx Sciences products made from Evolab’s pure, pharmaceutical-grade cannabis extract, our Daily BodyOil contains no artificial dyes or coloring. And it’s free of parabens, glutens, soy, sulfates, phthalates and all that other junk both vegans and the rest of us would rather do without. Runner’s knee. Tennis elbow. Stiff joints. Sore muscles.If you work out, you’ve come face to face with at least one of these. That’s why Intensive Salve is about to become your new best friend. It’s Evolab’s originalCannabis Cup Winning Angel Salve turned up to11. 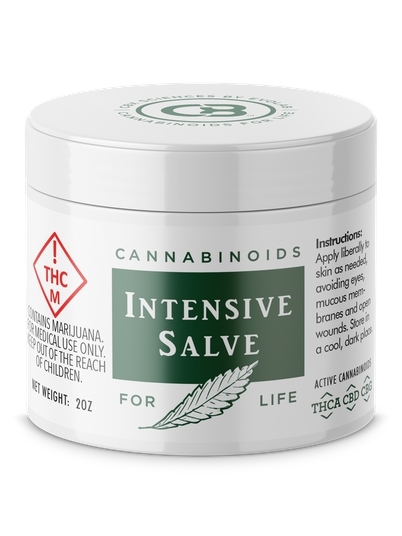 Relief starts almost immediately thanks to an extremely rare but incredibly effective anti-inflammatory cannabinoid called CBG. Combined with arnica and peppermint, CBx Sciences has created a non-psychotropic formula that penetrates deep into muscles and joints to bring soothing, long-lasting relief. 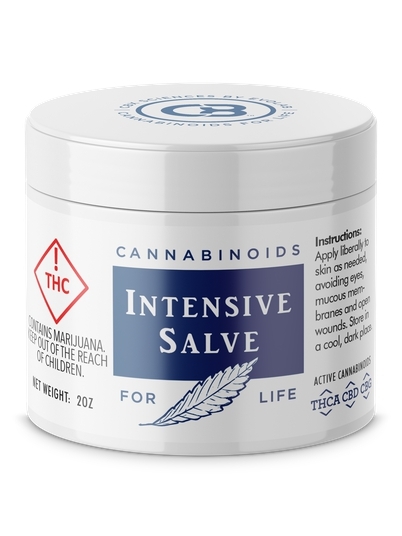 Like all CBx Sciences products made from Evolab’s pure, pharmaceutical-grade cannabis oil, Intensive Salve contains no artificial dyes or coloring. And it’s free of parabens, gluten, soy, sulfates, phthalates and all that other junk both vegans and the rest of us would rather do without. Carefully selected botanical ingredients with pure cannabinoids and terpenes designed to rejuvenate skin. Intensive Skin Repair is a rich formula of THC and CBD. With Vitamin E, sesame oil, camelina oil, rose canina, collagen and terpenes like eucalytpol and terpinolene, blended in for good measure. This quick absorbing, non-greasy serum will help you get the last laugh on laugh lines, wrinkles, scars, acne, blemishes, wounds and even fresh tattoos. 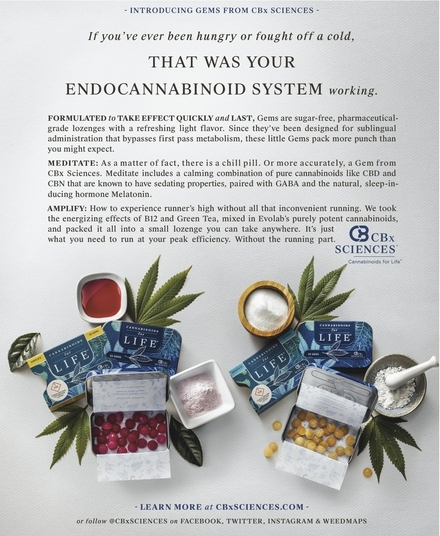 Like all CBx Sciences products made from Evolab’s pure, pharmaceutical-grade cannabis oil, Intensive Skin Repair contains no artificial dyes or coloring. And it’s free of parabens, glutens, soy, sulfates, phthalates and all that other junk both vegans and the rest of us would rather do without. Side effects may include spontaneous complements and second glances. Our Meditate Botanical Vapes are a calming combination of Passion Flower, THC, CBD and CBN. And they’re a perfect way to relax at yoga class, watching a movie or just sinking into a warm bath at the end of a long day. As a matter of fact, there is a chill pill. Or more accurately, a Gem from CBx Sciences. Meditate includes a calming combination of pure cannabinoids like CBD and CBN that are known to have sedating properties, paired with GABA and the natural, sleep-inducing hormone Melatonin. Alchemy: Pure Science - Cannabis at its finest. Full spectrum terpenes. 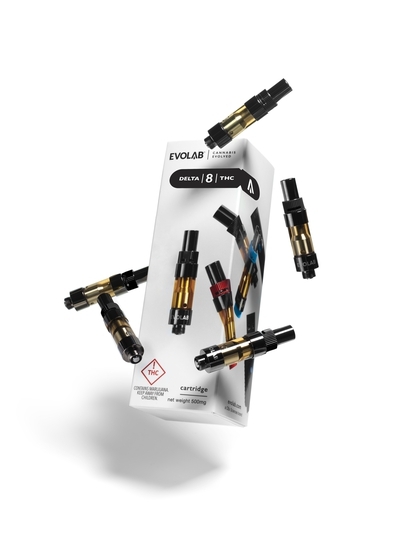 Evolab has pioneered a way to intensify all the things you love about cannabis using nothing but the plant’s own natural compounds. We can add cannabis derived terpenes to increase flavor. Boost THC levels so they are off the charts. And elevate therapeutic CBD’s so they help people more than ever before. It’s a little magic combined with a lot of science. Alchemy in fact. There’s potent. And then there’s Evolab potent. The kind of pure potency you can only get from Evolab’s pharmaceutical grade CO2 technology. 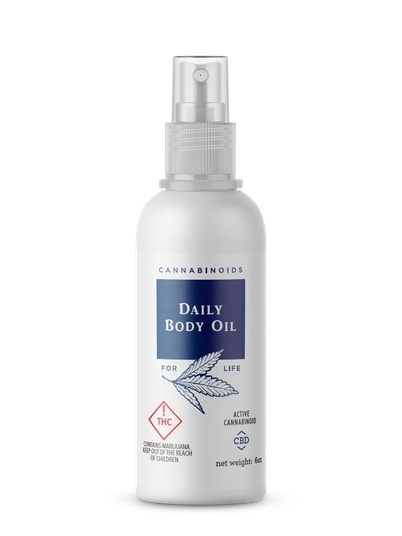 This oil is almost pure cannabinoids, so nothing gets in the way of the THC or the therapeutic effects of the CBD. It’s cannabis stripped down to its purest form, and it will blow away everything else you have tried. Everything that touches your lips should taste this beautiful. All natural blueberry, peach and pineapple flavors.Everything else will seem kind of beige. Chroma mixed with all natural blueberry, sweet melon, tropical fruit, and strawberry lemonade flavors. Everything else will seem kind of beige. Chroma mixed with all natural blueberry, peach and pineapple flavors.Everything else will seem kind of beige. A groundbreaking liquid concentrates system, G Pen GIO delivers intensity and simplicity for an ultra-portable vaporization experience. 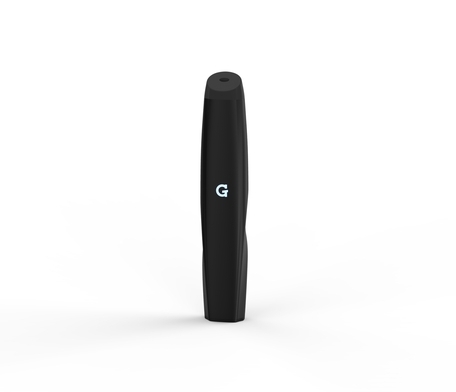 Featuring a draw-activated, wicked cartridge system for smooth, natural pulls with maximum vapor density, the G Pen GIO is an intuitive, compact, ergonomic device for vapor connoisseurs and novices alike. 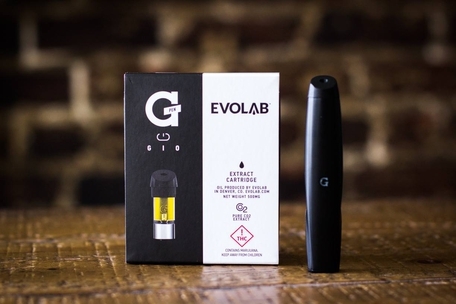 Filled with 500mg of a special terpenerich blend of Evolab’s incomparably potent, award-winning CO2 extracted oil, GIO delivers a truly unparalleled vaping experience. Battery for G Pen Gio cartridges. 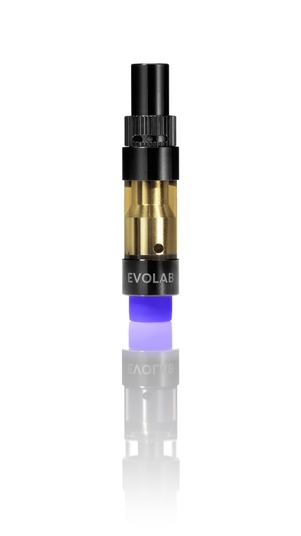 The Evolab battery allows you to optimize your vaping experience with its three temperature variable voltage technology. The battery is a standard 510 thread that comes with a USB charging cord. NOTE: please use the USB charging cord that comes with the battery. Other cords could cause issues with your device. Instructions: Turn the battery on/off click the button 5 times. To change the heat settings, hit the button 3 times to your desired temperature. We recommend the blue setting for optimal vaping. Please note that batteries may vary slightly from image as we continue to upgrade our hardware. A groundbreaking liquid concentrates system, G Pen GIO delivers intensity and simplicity for an ultra-portable vaporization experience. Featuring a draw-activated, wicked cartridge system for smooth, natural pulls with maximum vapor density, the G Pen GIO is an intuitive, compact, ergonomic device for vapor connoisseurs and novices alike. Filled with 500mg of a special terpene rich blend of Evolab’s incomparably potent, award-winning CO2 extracted oil, GIO delivers a truly unparalleled vaping experience.